Rates include transfer by mini-van with loudspeaker system and air conditioning, expert multilingualdriving guide. Guided tour at the Academy, headphones for groups with more than 15 participants, pre-booking and entrance fee (skip the line). An experienced licensed multilingual professional guide will be at visitors' disposal for the whole duration of the tour to illustrate the most beautiful views of the city and the famous monuments and to guide you in discovering the treasures housed in the renowned Academy Gallery. The Itinerary: Santa Maria Novella church, Ponte Vecchio, Viale dei Colli, Piazzale Michelangelo, Fiesole, Santa Croce church, Palazzo Medici Riccardi, Piazza San Marco, Accademia Gallery. Panoramic Tour by Minivan and Accademia Gallery. Our journey starts in the central station and first passes by the extraordinary Santa Maria Novella church on its way to the Arno River and the splendid view of the Ponte Vecchio. 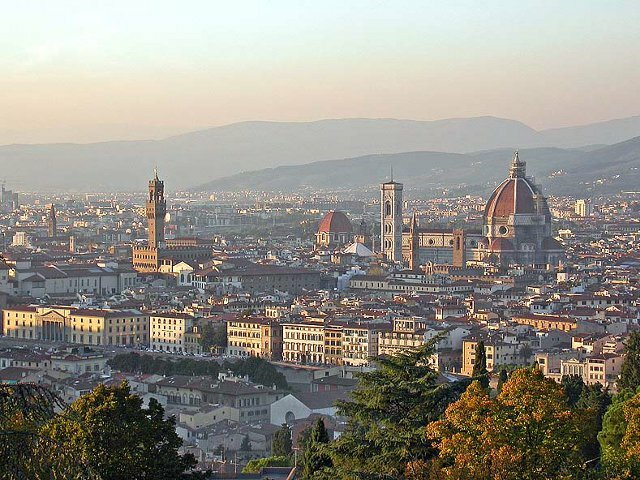 We then move up along the Viale dei Colli, one of the most beautiful roads in Florence, to Piazzale Michelangelo, which overlooks the city and its incredible monuments, its particular red roofs and lofty garden terraces. Our next stop is Fiesole, on the other side of the city. This enchanting Etruscan gem towers just north of the city surrounded by ancient villas and marvelous gardens. On our way back to the city centre, our tour will pass in front of Santa Croce church, Palazzo Medici Riccardi and finally Piazza San Marco. 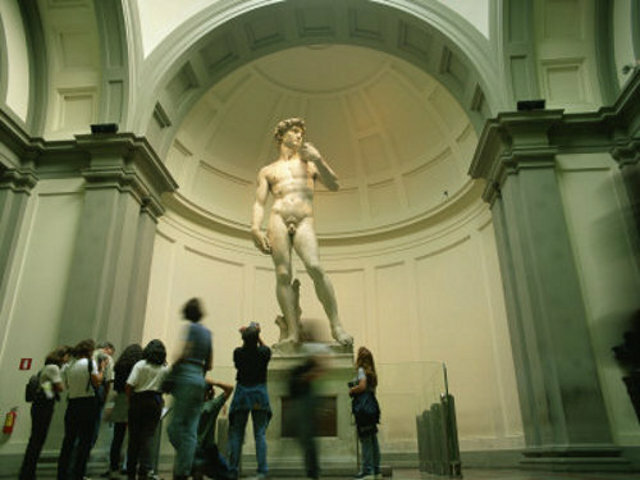 The tour continues with a visit to the Accademia Gallery: the home to Michelangelo’s David, the most famous statue in the world! There are also some unfinished works by Michelangelo, the “Prisoners”, that allow you to see how he worked the massive blocks of Carrara marble. 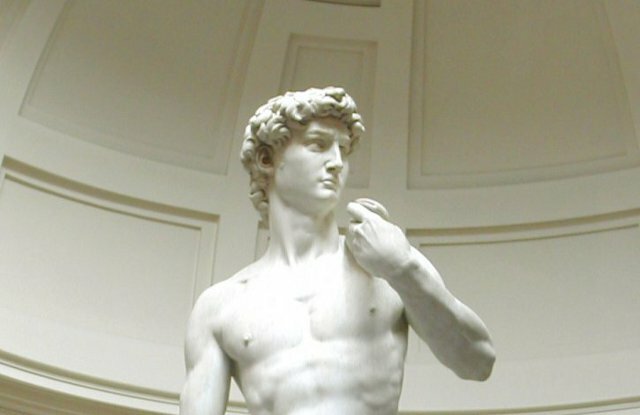 The guide explanation includes a detailed introduction to Michelangelo’s life and his extraordinary period. Meeting Point: 15 minutes before the beginning of the tour, outside Santa Maria Novella station, under the black clock on top of the main building. Price: 71,00 Euro per person. Children under 2: Free. Children between the ages of 3 and 12: 56.00 euro.